As a beginner in the field of photography, you might be curious to know the top wedding photography tips. Even if you are a pro photographer, you may want to know some tips to excel in photography. But when you search on Google, you hardly find innovative tips to improve your photography. You must wear comfortable shoes when you shoot photos at a wedding party. Wearing stilettos may seem to be stylish, but it is the worst thing when you shoot photos. It is because you have to shoot photos from different angles. Besides, you have to walk as long as the specific photo session continues. So, there is no alternative to comfortable shoes while you are a wedding photographer. As a wedding photographer, you may face some unwanted situations. For example, someone may suggest to people how to pose when you are busy with handling people to get in the right spot. If you ever face this kind of situation, you must be confident enough to take the charge. Taking the charge with great courage will help you shoot some extraordinarily professional photos of the wedding ceremony. Try to do a pre-wedding shoot with the couple so that you can avail yourself of capturing some nice and relaxed shots of them before the big day. There are some people who do not feel comfortable in front of the camera. In such a case, a pre-wedding shoot helps them get used to the camera as well as photographers. The couple may think of a special photo shoot to make their wedding day memorable. In this case, you should their demand beforehand so that you can visit the venue to check how you can shoot a perfect photo out there. You can also check if you need any extra pieces of equipment or tools. You should pay a visit to the venue of the wedding party beforehand if it is possible. It will enable you to check which direction the sun shines from and how much natural light you will get there. It will also enable you to make notes of any specific backdrops for the upcoming wedding photos. You will also get to know the exact distance of the spot from your house. To show your professionalism, you must be clear about what your service includes. Try to tell your prospective clients what they will get for the money they are giving you. And let them know the style of your photography. You should also tell your client how you will deliver the final product to them. For instance, you can either deliver the edited images digitally or create a printed album for them. It is a good idea to hire an assistant photographer for the particular day. You might be tired and a bit stressed if you shoot photos at wedding ceremony own your own. An assistant photographer can help you in many ways. For example, he can help you organize the wedding guests for group shots. Your assistant can also help you carry your equipment. Moreover, if you want to capture a particular photo from different angles, your assistant will be a helping hand for you. As a professional photographer, you must get dressed smartly. But you should consider that you will have to wear that particular dress all day long. So, if your dress is out of comfort, then it will hinder your work. And any hindrance to your work may come up with the worst situation of failure in your life and career. The weather does not always remain in favor of us. Even if it is a month of summer, the weather does not play nice all day long. For this reason, you must be cautious about unwanted weather condition. In fact, all the wedding guests along with the bride and groom hope for a dry and sunny day to enjoy to the fullest. But you, as a professional photographer, must be prepared for the chance of rain. You should remember that you are not just there to take photos. There are other things which you need to do yourself to confirm a nice wedding ceremony. In fact, it is your responsibility to make sure the day runs smoothly. That is to say, you should help guests find seats, remind groomsmen and bridesmaids to smile, and advise the couple to cut the cake when it is the best time. One of the most valuable wedding photography tips for photographers is to carry a small kit of some essential items with them when they set out for wedding photography. The crochet hook is one of the essential items you may carry with you. If you see the bridal party struggling to fasten the buttons on the dress of the bride, you can go forward to help them with your crochet hooks. You might be confident of the performance of your camera as you check it poignantly before going for any wedding photography. But there is no guarantee that your camera will work well. Things may get worse at any time. So, it is a good idea to carry several cameras with you. You should also take some extra batteries as a backup. A professional photographer should always use faster lenses. Faster lenses provide you with the best quality photos when you need it badly. Allowing you to achieve the correct exposure, Faster lenses offer a maximum aperture. An “F” followed by a number displayed on a DSLR indicates the aperture of that very lense. Typically, the aperture is wider if the number is smaller. When natural light is used as opposed to artificial light, photographers can take the best photos. In fact, natural light works as a helping hand for photographers. So, it is a good idea to use natural light as much as possible. But make sure the bride and the groom are not squinting in the sun. As a professional photographer, you have to shoot photos from different angles and points. Using a ladder or a step tool can help you in this regard. Never expect to get it from your client. It will put a negative impact on your professionalism if you demand one. As a professional wedding photographer, it is your responsibility to take the necessary tools with you. Hence, you should take a ladder or step tool to the wedding party if you think you will get benefited from it. Having a great fervor to take photos with the bride and the bridegroom, many parents and grandparents want to get involved in photo sessions. Try to include them to traditionally posed family photographs. Also, try to associate them with the bride and the bridegroom to capture some happy moments. This will give the parents as well as the grandparents a great deal of pleasure. And ultimately, they will be grateful to you for your kind care. It is a great idea to capture wedding photos in Raw Mode. But a DSLR camera generally captures images in JPEG format. The camera automatically processes and compresses the image file following the instruction you have set. As you want to shoot footage in Raw Mode, you have to set it beforehand. Raw Footages, however, give you the chance to preserve all the raw materials from brightness to contrast. It means that you will get everything you need to beautifully edit a photo. It requires you pretty much time to prepare the photos you have captured at the wedding party. You can use the time with an innovative idea. Editing a few photos with watermarks, you can send them to the wedding couple. They will certainly be happy to quickly share those images on social media. Besides, they can also suggest the direction to process the photos exactly how they want those photos. In addition, it will give you extra visibility and marketing opportunity. Turnaround time is highly significant for any kind of business around the world. If the turnaround time of your business is prompt, it will help you build a strong reputation on the market. There are some photographers who break their promises of delivering the project in time. As it decreases their turnaround time, they have to face clients’ dissatisfaction in the long run. Therefore, you must consider giving a quick turnaround. Though technology is a part and parcel of our life, there must be some time when we should not use a technology. A wedding ceremony is such a time. On this day, we should get out of our pocket of technology. In fact, it is becoming a more and more popular at wedding parties. If you are yet to consider recommending your clients to make a technology-free zone, you should take it into account. On the other hand, you will have to face all of your wider shots ruined by a large number of iPads holding up. Collect a copy of the program is one of the most significant wedding photography tips. After collecting the copy of the program, go through it step by step. Then plan your tasks for the wedding day because you will get a very limited time to communicate with your team. In fact, you might be able to communicate with your team only through text messages or gestures. However, if you make an escape plan, you will be surprised to see how much easier your job continues without facing any sort of vital obstacle. A ceremony is always a crowded place. You will find some people standing, while some others will be found wandering around. In such circumstances, shooting photos is really a difficult task. But you have to handle all these things with careful eyes on everything. To get out of this kind troubles, you can shoot through objects that are at the wedding ceremony site. It will enable you to shoot some innovative, creative, and unique photos. The most common complaint about a photographer is that the photographer missed out a shot with someone intimate to the couple. You can easily get yourself out of this complaint. For this purpose, you have to meet the bride before the wedding day to know how many essential shots your client want you to capture on the day. Listen to him attentively and make a plan how you can implement the shots. There must be some important individuals who play significant role to arrange the whole party. When you meet the bride beforehand, your first and foremost responsibility will be to collect the names along with the cell phone numbers of the leading man and the maid of honor. This will help you much during the event. One of the best ways to capture photos of the bride and the groom is to capture while they are interacting with each other. But make sure you are not taking their attention to your camera. In this case, you can switch to a longer lense. It will enable you to take photos without distracting them as they will think that there is none in their way. Hence, you will easily capture your shot while the couple are naturally interacting with each other. Wearing white dresses is a tradition for a long time. I reiterate: white dresses are worn at a wedding party. And you must take it into consideration for shooting the best photos of the couple.It is because the white color of the dresses will make the camera think as bright. You have to dial in some positive compensation to get the dresses stay white. Never try too hard, rather try to be yourself. You should not lose your personality for photoshoots. Behave smartly with everyone on the wedding ceremony. If someone makes a problem on your way, try to handle him smartly. You must keep in mind that a professional photographer should possess a great personality. There are some photographers who tend to shoot over two thousand photos during the wedding. The tendency is not so bad if you can ensure quality. But you will find it hard to ensure quality when you put greater emphasis on quantity. For this reason, you had better shoot photos slowly on any wedding party. Remember, a good quality of your work will turn your profession into a brand. There are two families you will find at a wedding party. So, it is normal to get confused about priority. Many professional photographers plan a time for the bride’s family to be there to shoot their photos. Afterwards, they invite the groom’s family to be there. And finally, all the members of the two families can be brought together for some group photos. Does it sound silly? It may sound silly, but sticky tape saves the day. In fact, it is one of the most effective wedding photography tips. You can turn up the groom’s long pant by using sticky tape if it makes trouble. Though it is tiny job, it works like a powerful genie.Thus, you can save the day from being disturbed by some kind of silly things. Ultimately, the groom will be grateful to you for your help. This will propel him to recommend you to some of his friends in the future. You will find lots of kids at a wedding ceremony, and they will enjoy themselves in various ways. It is not a good idea to hold them back. Try to let the kids be kids! The most surprising fact is that some of the most beautiful wedding shots are the shots of kids doing interesting things. So, it is a brilliant idea to let the kids do whatever they want to. This will enable you to shoot some of the most innovative photos of the wedding ceremony. To capture some beautiful photos of the couple, photographers want them to stand in some unexpected places. For example, photographers may ask the couple to stand either in flower beds or near water. Generally, brides don’t want to do this kind of jobs as they are very careful about their dress. You can solve this sort of problems with a simple fix. In this case, you have to bring a white sheet to step on so that the bride can protect her dress. You must handle every ins and outs of photography at a wedding ceremony. For instance, you have to manage lighting, background, places and so on. You might face some sort of problems while handling all this things. That’s why, you must be stay calm to smartly manage the things. If you cannot stay calm at the wedding ceremony, you are likely to make everybody feel uncomfortable. You should make a contract with your client before the wedding ceremony so that you can protect yourself from potential lawsuits. In fact, there might be lots of things that you can face at a wedding ceremony. To escape from those probable problems, we recommend you to have a clear-cut contract. Remember, prevention is always greater than cure. So, think before the problems arise and make yourself ready for the future. A professional photographer must have some basic knowledge about different religions across the world. It is because he has to shoot photos on different wedding parties from different religions. All the religions of the world have some unique trends about wedding. For example, the Jewish brides break glasses at their wedding ceremonies, while you can’t use flash when you shoot inside a cathedral. Taking all these different things into account, you have to shoot your photos on different wedding ceremony. So, if you don’t have sufficient knowledge about the traditions of different religions, you should start learning to propel your photography to the next level. There are many wedding ceremonies where bridesmaids look sad as they don’t smile. They even don’t know that their photos are being taken. You should not capture photos at such a time. Try to remind them that you are taking their photos. If you remind them, they will eagerly smile to pose for a photo. Ultimately, you will have some beautiful photos of the bridesmaids. To sum up, a professional wedding photographer should take a bunch of things into his consideration. The tips discussed above are among those things. Though you might be following many of the wedding photography tips on your own, you should consider all these ideas as you are a professional photographer. In fact, it will bring you a great benefit if you can implement all these tips. 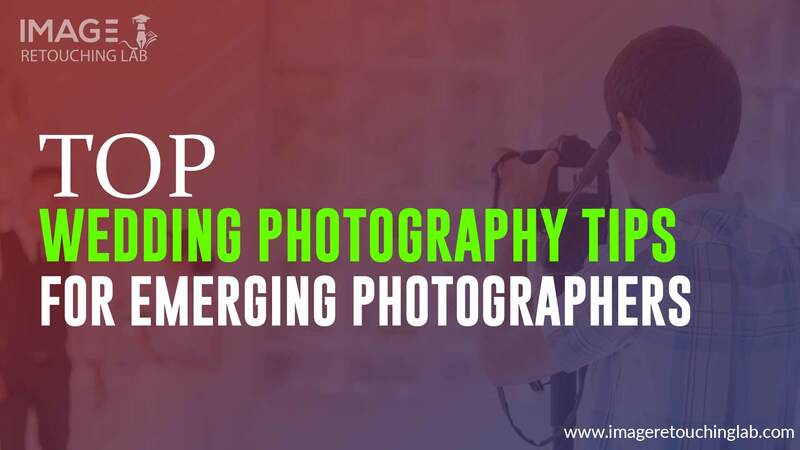 To be precise, following the tips will help you become a renowned photographer in your locality.